Spotted Harbour cars have a Nordic Gold Gen2 4S Targa , very rare colour I have never seen one in the flesh , looks like a lovely car does everyone like this colour or is it a marmite colour. I would take that over Macademia. Strangely, the older this car gets, the more appealing the NG paintwork will become. Lovely looking car. 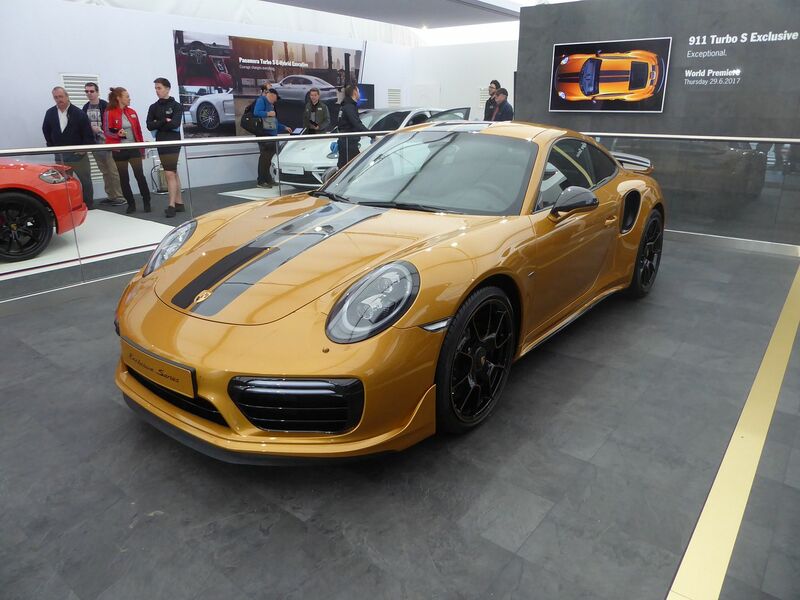 Is that the same colour as the Exclusive series Turbo S of the recent models? I like that, doesn’t look to far away from BMW Valencia Orange. Think a better set of alloys would be the icing on the cake. High miles!? Am I missing something or is it 28k on a 9 year old car. Unless your looking for a museum piece which this isn’t, how few miles does one need? I was at a local cars n' coffee yesterday morning (it was public holiday, before you ask) and it struck me that - apart from the race and drift cars - 9 out of 10 were dull greys/blacks/whites etc. Perhaps they were all 'stealth' [if you're running an illegal supercharger this might be a good thing], but I suspect they're simply daily drivers. I am just as bad, as my cars are white and grey. We need more colour in our lives! Max, I think you always find the majority of cars are sold in safe colours and through out the early 21st century thats been black and silver with White arriving later in popularity as a safe colour. I understand that concept for the ave daily or rep mobile but if your buying a sports car or an exotic your not exactily buying a bland rep/eurobox so why select a safe colour sort of says look at me but not too hard I have a loud car in a dull colour lol. I like bright colours and to be honest if your hooning up the M1 at 120mph whether its grey or viper green the old bill are going to be interested. and I would imagine some other countries the buyers are even more conservative on colour then even us Brits. What is everyones view on the full RED interior ? For me I’m either going for so called safe colours that I really like (black or blue) or all out wild (yellow, red, orange, lime). It’s just these odd special order middling colours that don’t do it for me (this, macadamia, etc). I doubt I’d have a special car in silver or white, though I wouldn’t rule it out because I buy what’s available second hand and don’t have the patience to wait too long. My last two dailies have been silver though. But for now not only have I had black 911s but I make them extra black: black tail pipes, black badges, black interior changes. The cleaning is a pain though. 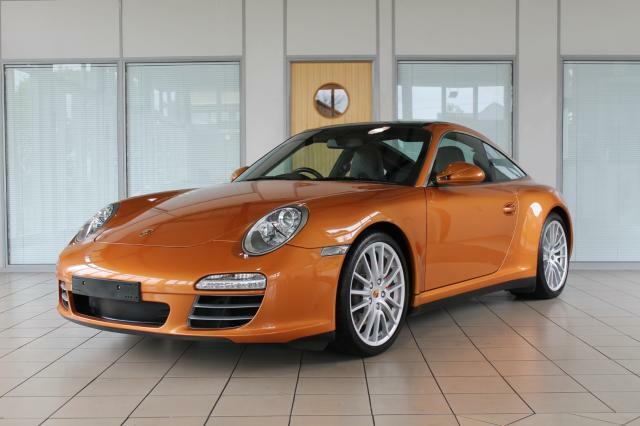 A loud colour GT2 would do lovely if anybody’s got one going spare. Au contrair! Hermans over 9 years old and his milometer is clicking dangerously close to 20k I nearly shat myself when I saw it! Nope. The 'Exclusive' is much nicer. Gold rather than copper.